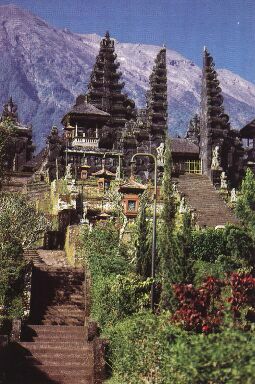 Besakih temple in Bali. Besakih temple is the most sacred place for Hindu followers in Bali. It is the mother of all temples in Bali. As you might have known, Bali is the only place outside India and Nepal with Hindu majority. Hindu in Bali, however, is a little bit different from what is practiced in Indian subcontinent or by people of Indian origin.